Every year, you send in a completed Federal Post Card Application (FPCA) to local election officials in the U.S. location where you last resided immediately prior to your departure from the United States. See the FVAP website’s Voting Residency Guidelines on “Legal State of Residence” for more information. They confirm your eligibility to vote and put your name on a list to receive absentee ballots for any elections held that calendar year. They send you a blank absentee ballot electronically or by mail. For more information on your state’s elections, consult the Federal Voting Assistance Program’s Voting Assistance Guide or view a summary of all states’ election dates. You complete the ballot and send it back so it arrives before your state’s ballot return deadline. If you haven’t received your blank ballot 30 days before an election, don’t wait any longer; use the emergency Federal Write-in Absentee Ballot to vote (see “Emergency Write-in Ballot” below for more information on this option). To complete and address the form, go to the Federal Voting Assistance Program website, select your state, and follow the on-line prompts to complete the form. When you are finished you can print your completed Federal Post Card Application. In addition to the FPCA form, the FVAP website also has a template for printing your own postage-paid envelope in which to mail your FPCA form. You can always return your FPCA by mail. In addition, most states allow you to send in your FPCA by fax or email. (See “Voting and Returning Your Ballot” below for options.) Consult the online FVAP Voting Assistance Guide for your state’s current instructions. If you need help completing or submitting the form, contact us at voteouaga@state.gov. Complete your ballot carefully and legibly, and return it to your local election officials (instructions usually accompany the ballot materials or see FVAP’s contact information for local election officials) before your state’s ballot receipt deadline. Send it back as early as possible. 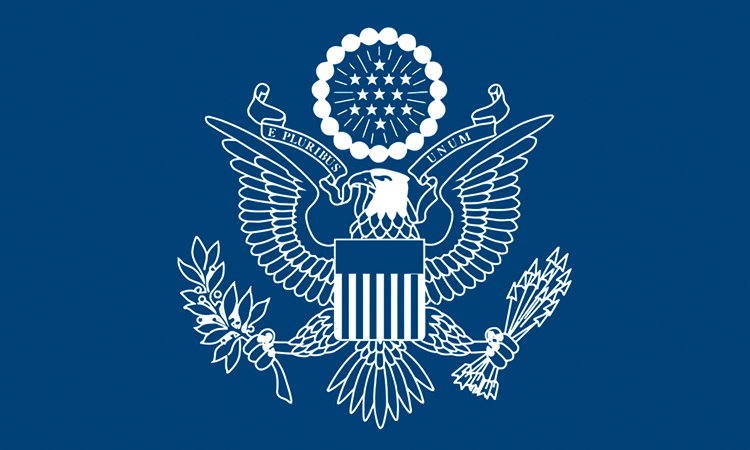 U.S. Embassy – You can drop off your ballot request or voted ballot at the U.S. Embassy Ouagadougou Consular Section between 1-4 pm Monday-Thursday or between 8-10 am on Friday. You can have someone drop it off for you (it need not be the voter who brings it in). The voting materials’ envelope must be addressed to your local election officials and have sufficient postage or be in a postage-paid envelope. A postage-paid envelope is available on the FVAP website. Fax, Email, or Internet – A number of states now allow the electronic return of voted ballots. Consult the FVAP Voting Assistance Guide for electronic transmission options for your state. Don’t be a passive voter and wait for a ballot that may not reach you in time. If you followed all the right steps but still haven’t received your ballot 30 days before the election, you should complete and submit a Federal Write-in Absentee Ballot (FWAB). Write in the candidates of your choice, print it, sign it, and send it to your local election officials. You may print your own U.S.-postage paid envelope, but attach proper postage if mailing internationally. If your regular absentee ballot arrives later, fill it out and send it back too. Your FWAB will be counted only if your regular ballot doesn’t reach your local election officials by your state’s deadline. Following this procedure will not invalidate your vote or result in two votes being cast. Almost all U.S. citizens 18 years or older who reside outside the United States are eligible to vote absentee for candidates for federal offices in U.S. primary and general elections. In addition, some states allow overseas citizens to vote for candidates for state and local offices, as well as for state and local referendums. For information regarding your specific state, visit the FVAP Voting Assistance Guide. For voting purposes, your state of legal residence is generally the state where you resided immediately before leaving the United States, even if you no longer own or rent property or intend to return there in the future. Twenty-four states and the District of Columbia specifically allow U.S. citizens who have never resided in the United States to register where a parent would be eligible to vote. Direct your questions about eligibility to your local election officials. All elections in the United States are run at the state and local level. If local election officials have questions about your form, they’ll contact you. It’s smart to send in your absentee/voter registration form early (ideally, at the beginning of the calendar year, or at least ninety days before the election) to provide time to process your request and resolve any problems. Once approved, your name will be put on a list of voters to receive absentee ballots. The Consular Section of the U.S. Embassy in Ouagadougou is available to answer your voting questions. If you have any questions, please contact Embassy Ouagadougou’s Assistance Officer at 25-49-53-00 or write to us at: voteouaga@state.gov. When requesting voting information by e-mail, please indicate your name and your last legal state of residence. Please contact us by email at voteouaga@state.gov if you have any questions.